Kirsty Young's castaway is composer Howard Goodall. 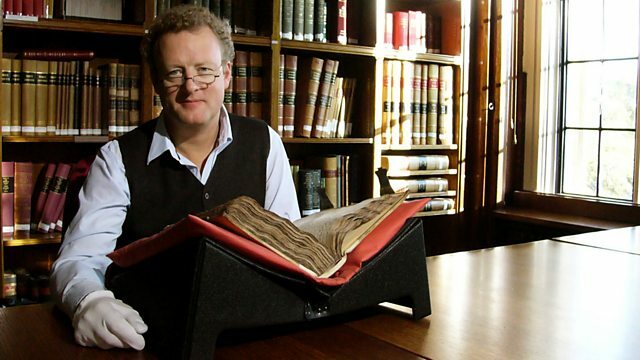 Kirsty Young's castaway this week is the composer Howard Goodall. He's a man of eclectic musical tastes and talents creating choral works, popular TV show themes like Black Adder and The Vicar of Dibley and movie scores and musicals. His enthusiasm and deep-rooted commitment to his life's work has regularly propelled him away from the score and onto our television screens where he's presented award winning documentaries like How Music Works. In January 2007 he was appointed as England's first ever National Ambassador for Singing, leading a £40 million scheme to improve group singing in primary schools. Howard says he hears music in his head all the time - and can't imagine life without it. Luxury: Ice-cold vanilla vodka and tonics. Maurice Durufle: Complete sacred Choral Works.